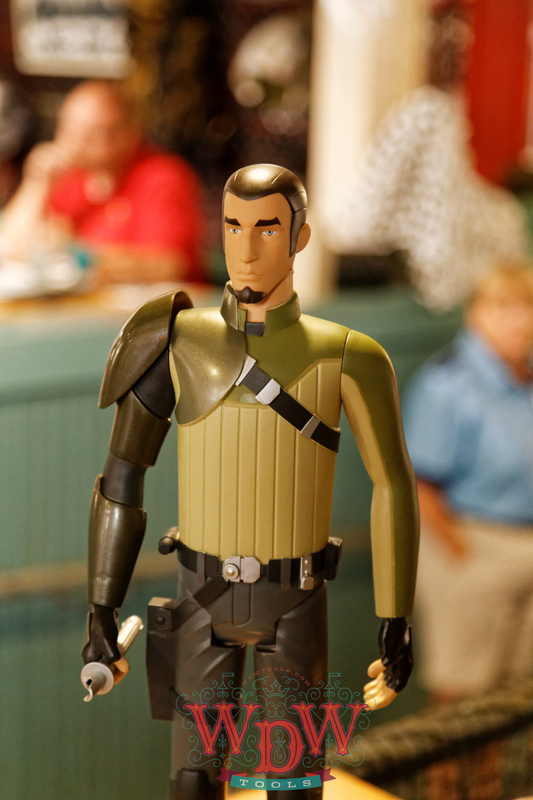 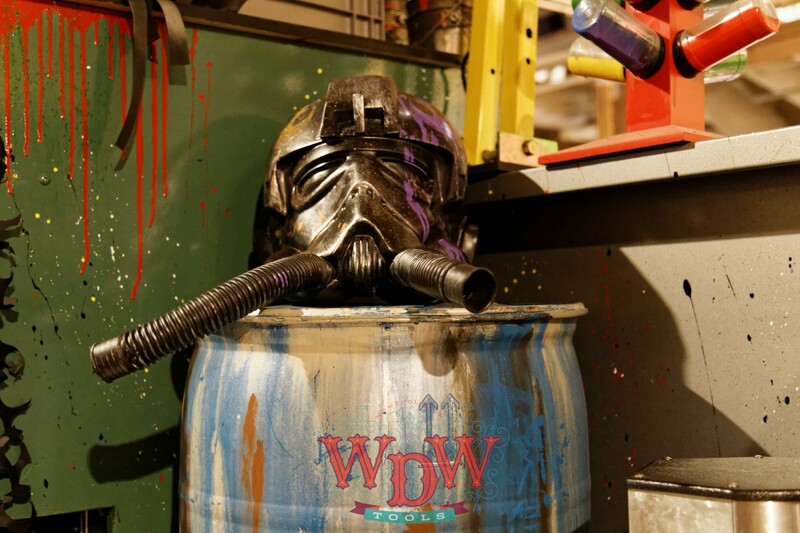 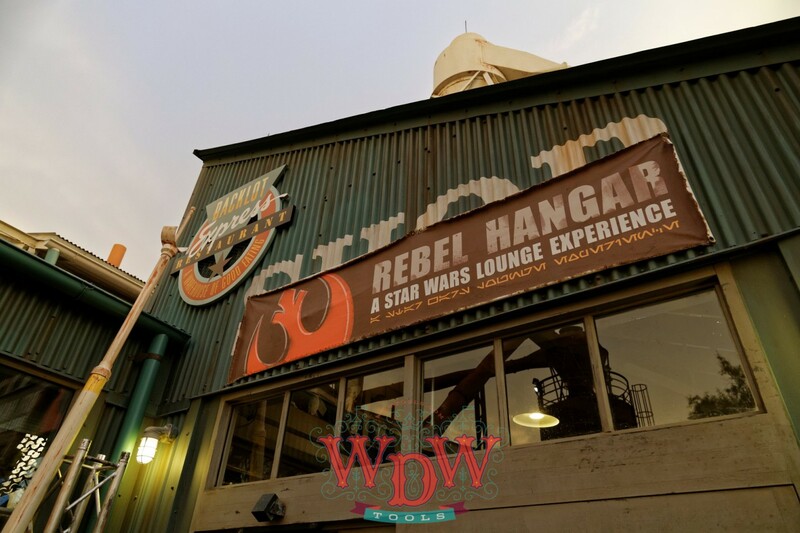 Rebel Hangar: a Star Wars Lounge Experience is a new addition to Star Wars Weekends for 2015. 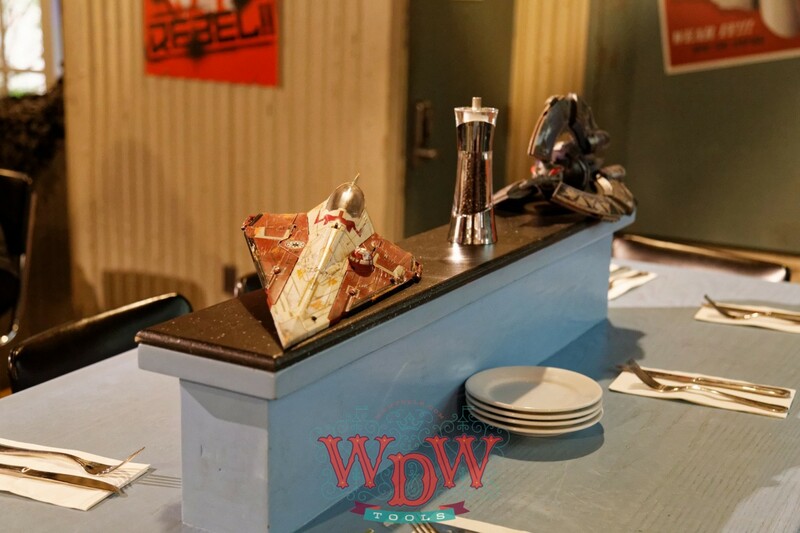 A portion of the seating at Backlot Express has been repurposed to accommodate the new experience. 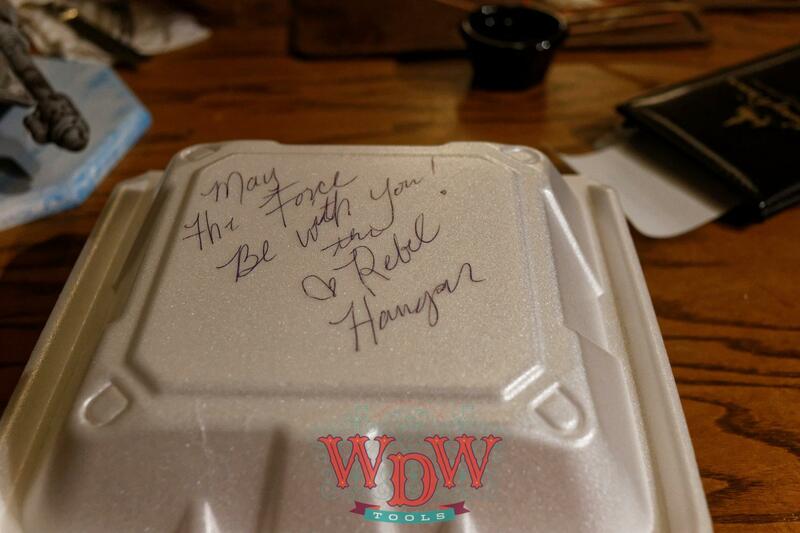 Unlike Backlot Express, which remains counter service, Rebel Hangar is table service. Mobile red dividers separate the remainder of Backlot Express from the Hangar and many props that are part of Backlot Express have been replaced or Star Wars-ized in the Hangar section. 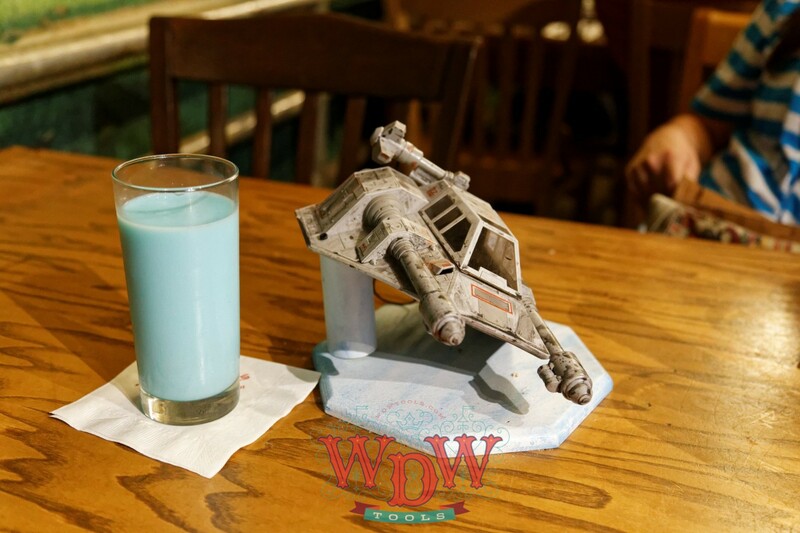 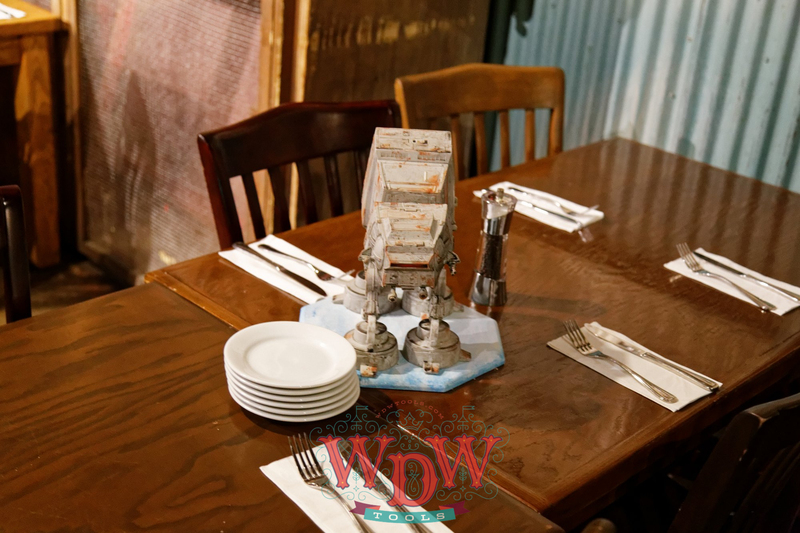 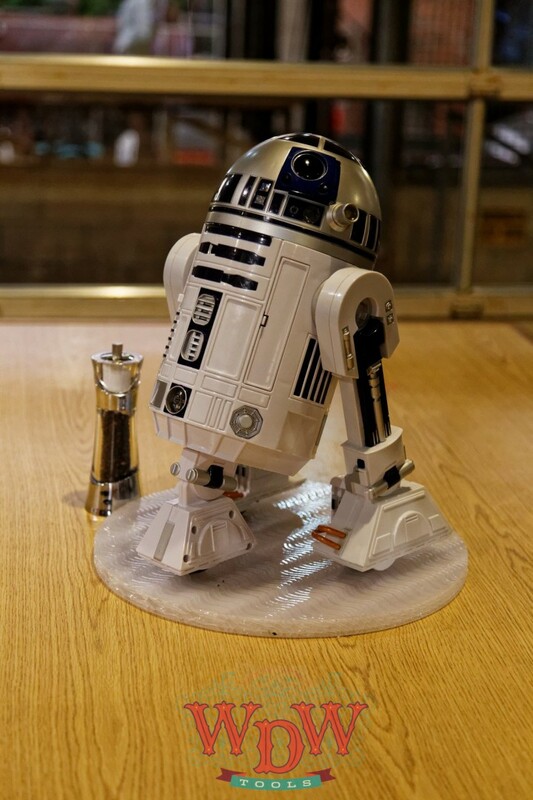 Each table has a cemented Star Wars figurine; AT-ATs, X-Wings, and favorite characters like Han Solo and R2D2 are among the centerpieces. 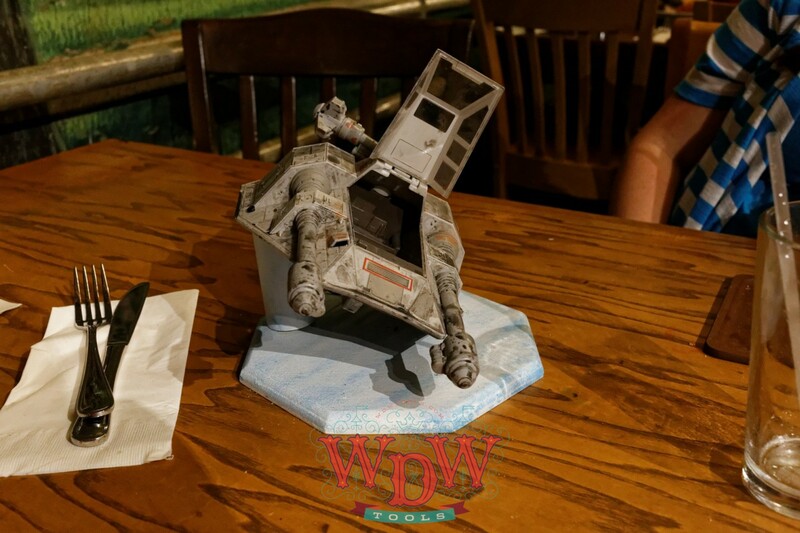 Many centerpieces can be posed or moved; the cockpit on the speeder on our table opened. 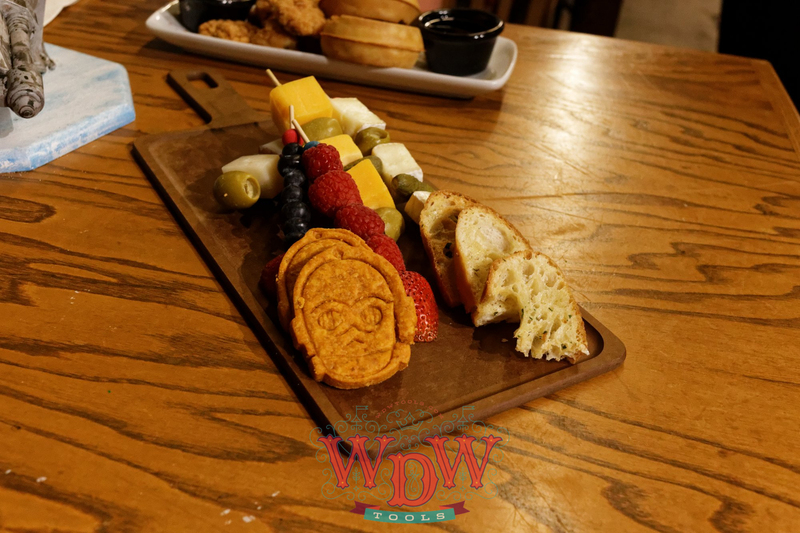 As a lounge experience, the offerings are fairly light assortments of snack-style foods. 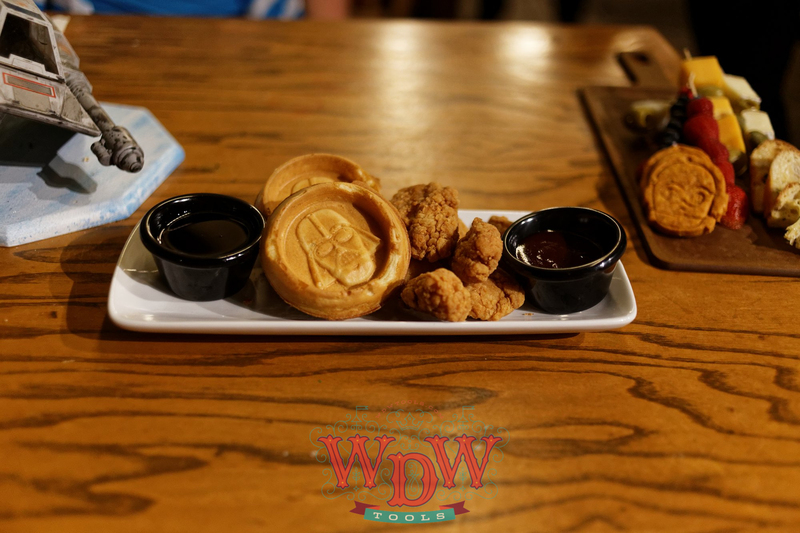 We ordered The Dark Fried (waffles and chicken nuggets), Ilum Fruit and Cheese Sabers, a plate of crackers, cheeses, and fruits, and Blue Milk, a delicious blue-raspberry flavored milk. 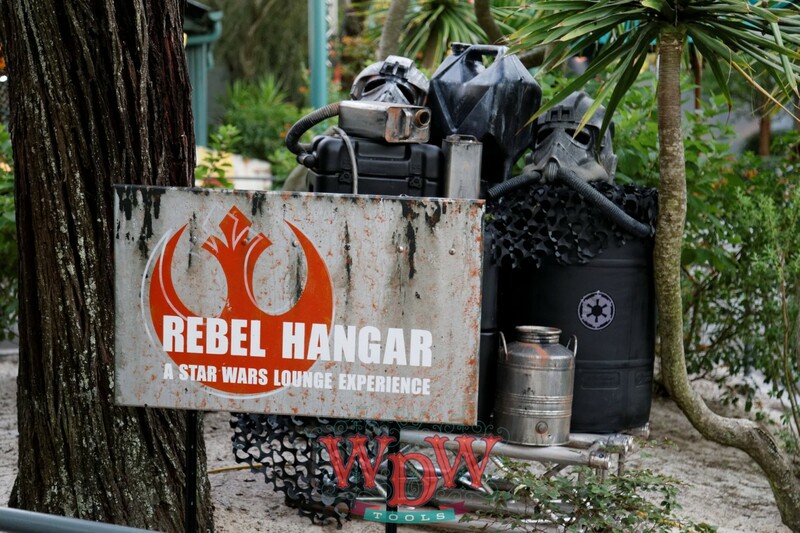 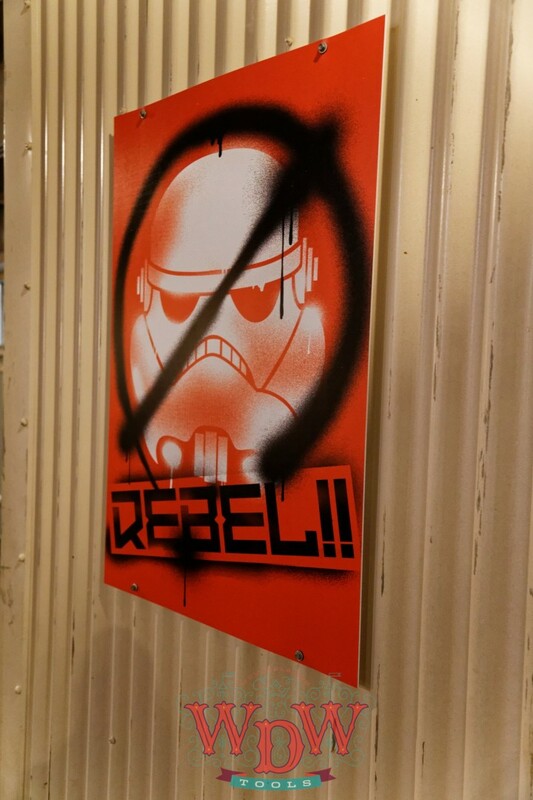 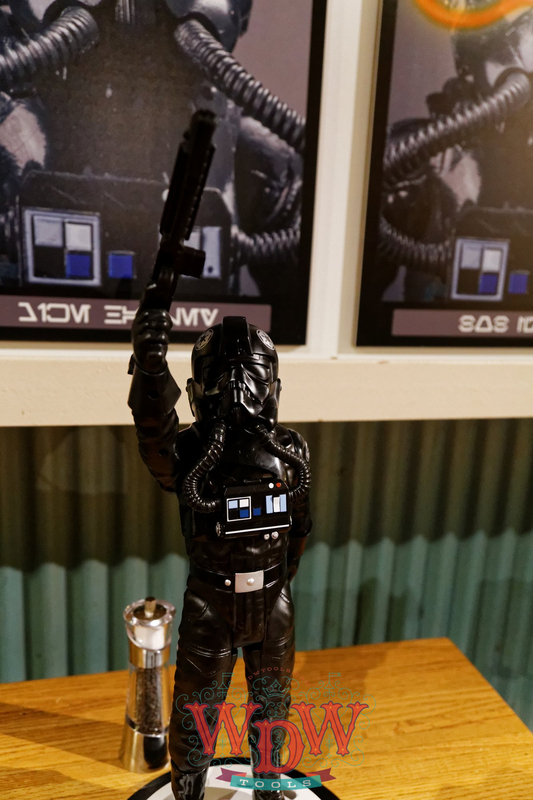 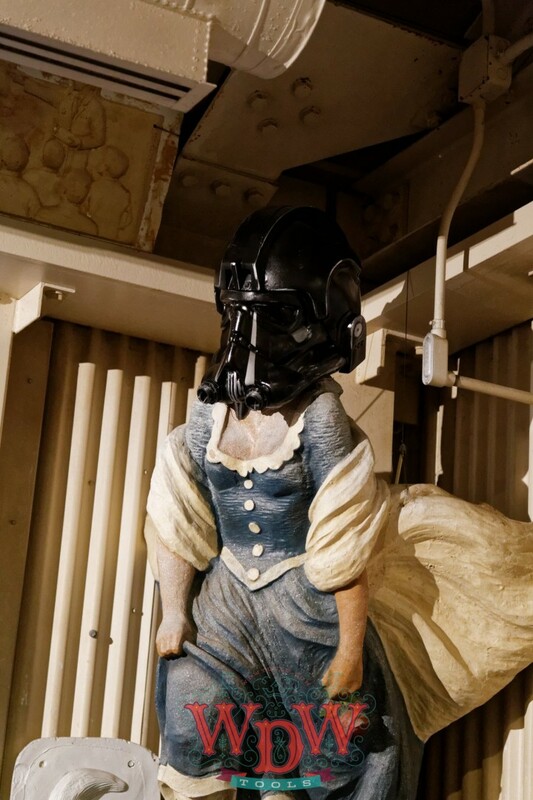 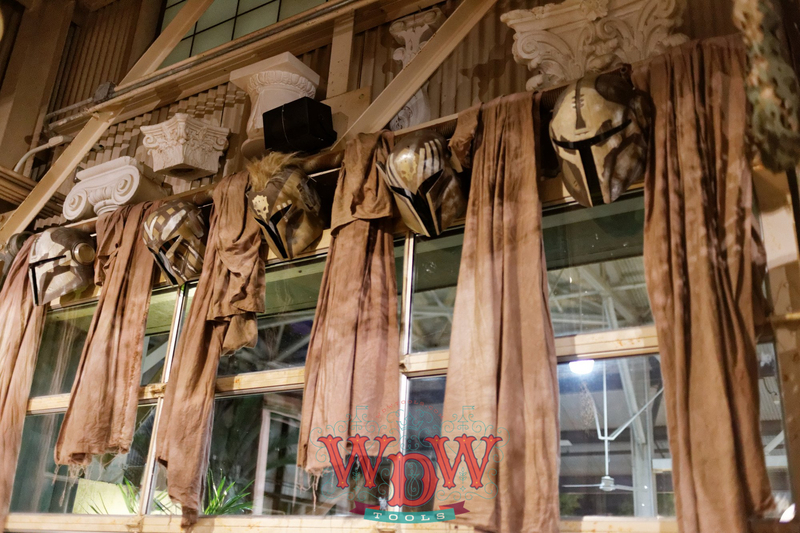 Although Rebel Lounge is not character dining, Stormtroopers, Jawas, and even Chewbacca may make an appearance and be available for pictures. 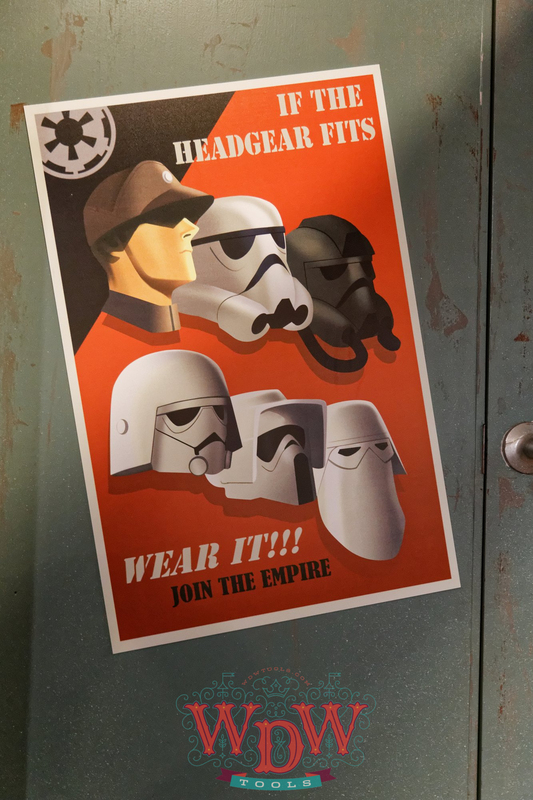 Different characters may pass through as available. 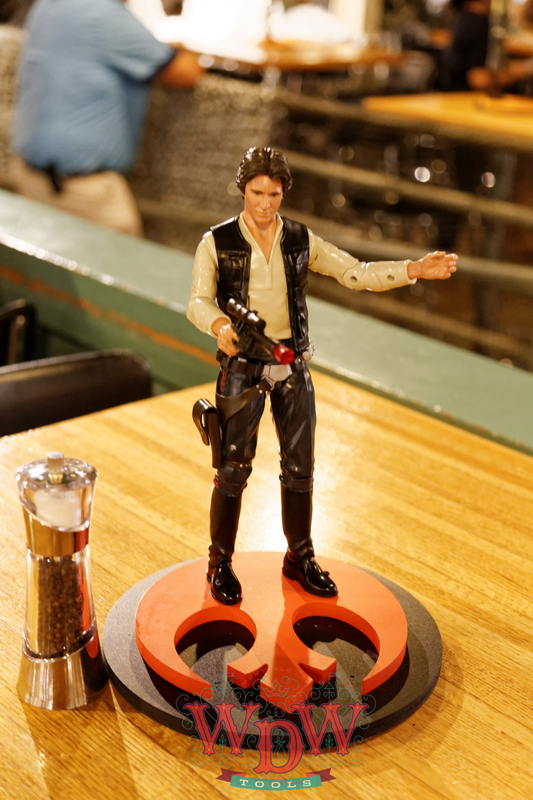 They make the rounds quickly but do not ensure they stop at every table. 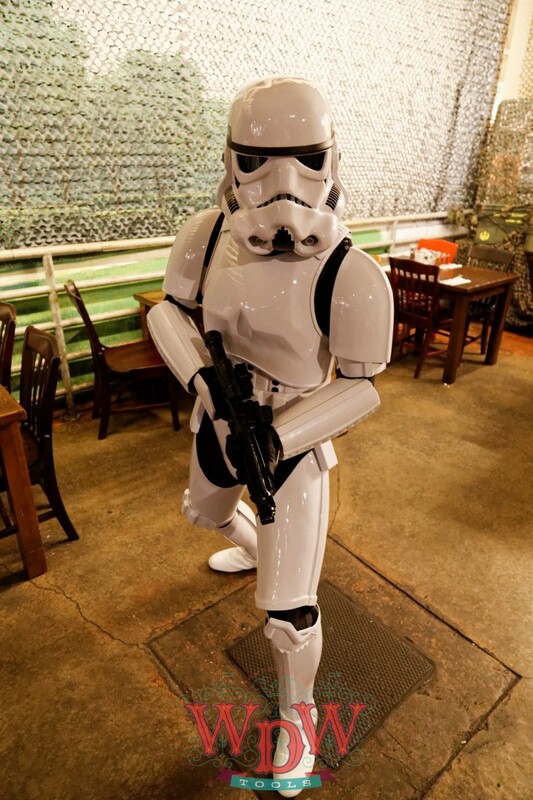 Politely approach the character shortly after he/she enters to ensure that you are able to get a photo. 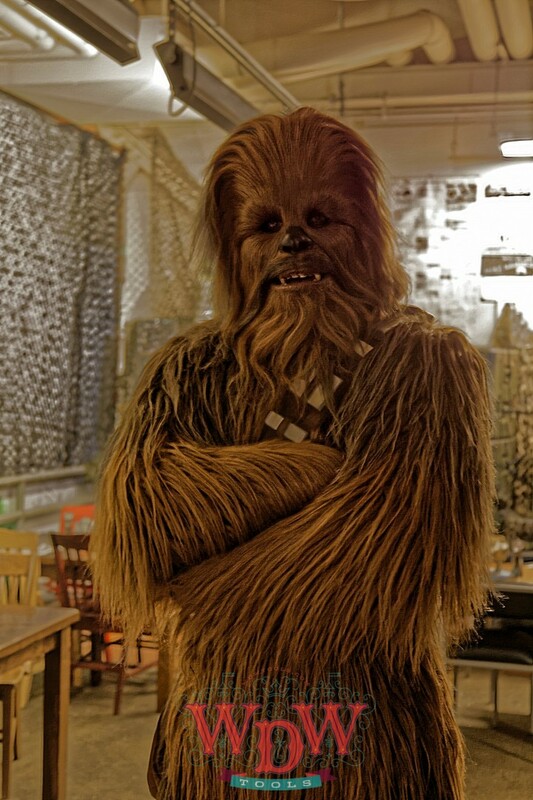 We encountered a Stormtrooper and Chewie. 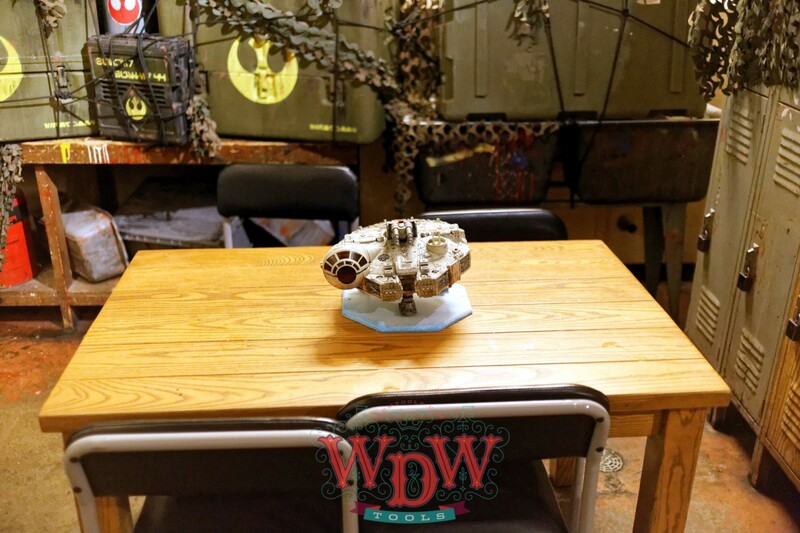 It can be very difficult to get reservations for this limited-time engagement, which runs through the close of Star Wars Weekends on June 14. 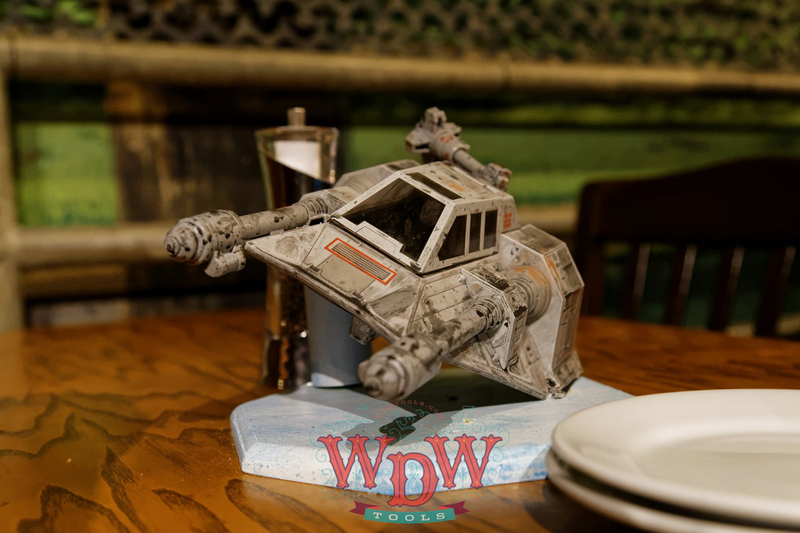 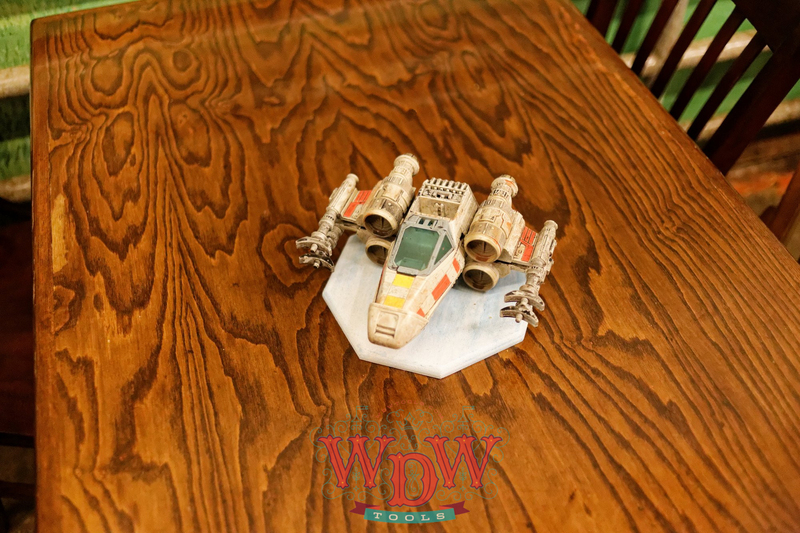 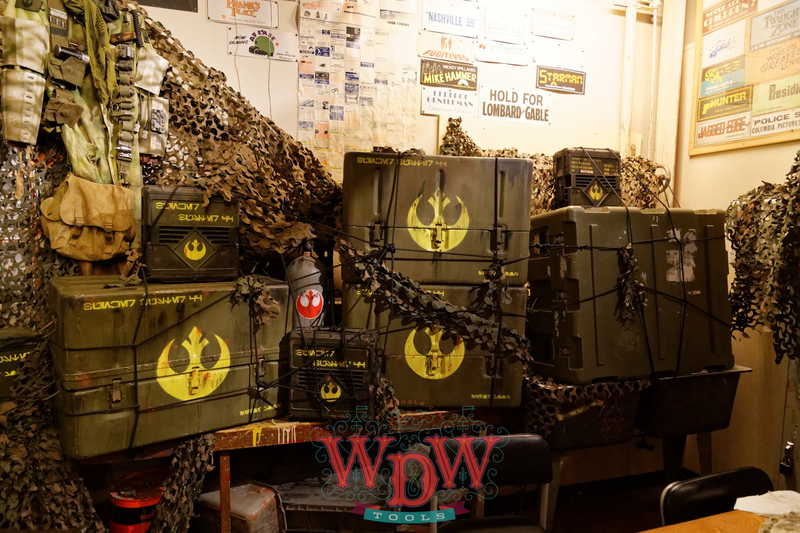 Use WDWTools’s ADR Sniper to get Rebel Hangar and all the advanced dining reservations you need to make your trip as magical as possible!